Sugar and spice and all things nice, EBONY by Madi Lane is seductively sweet, impossibly charming and endlessly memorable. Classically sweetheart, her bodice includes a sheer mesh insert that travels to meet and meld with the light layers of here tull skirt. 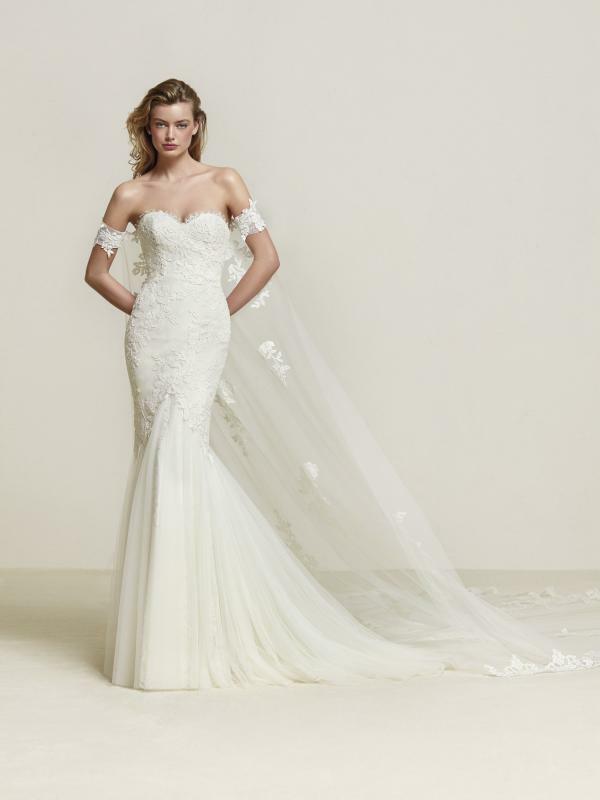 Predominantly lace in paisley flourishes, her bodice is also engineered to dip slightly at her zip closure giving the impression of a subtle low back and revealing more skin than most other strapless gowns. 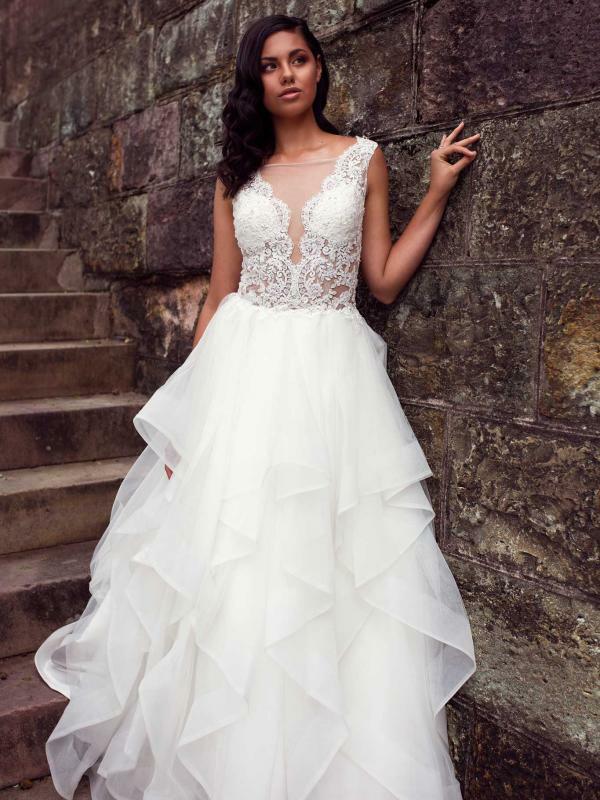 Already a stand-out among strapless gowns, the addition of detachable off shoulder lace straps, gives EBONY an edge among gowns of every kind and makes her a versatile choice for the modern bride.